Starting to play blog catch up here!! 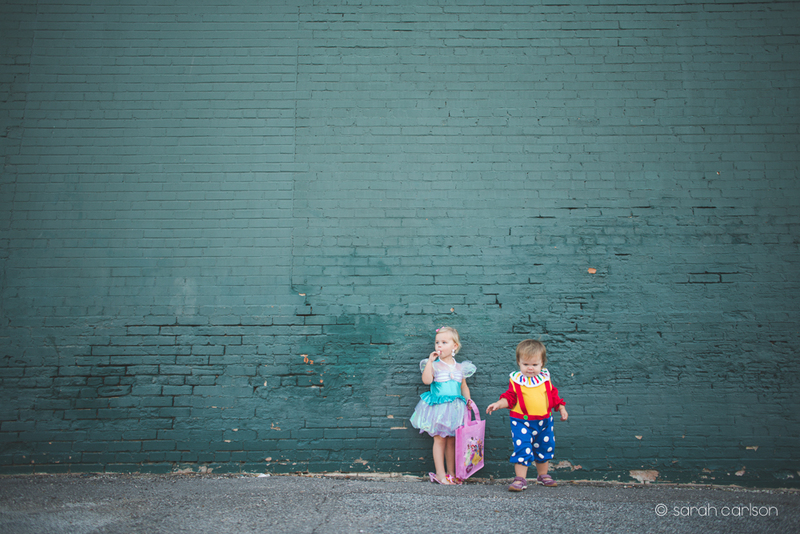 For Halloween, Kate wore an Ariel dress, and we put Caroline in the clown costume Kate wore for her first Halloween. (It was a 9 month size that ran really big, and Caroline's on the short side, too!) 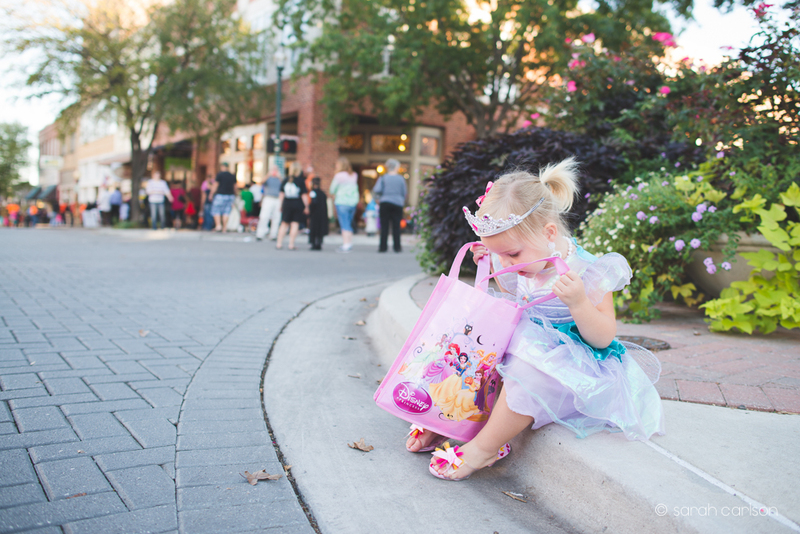 We went to the "Scare on the Square" event in downtown McKinney for a little while, and then we came home for dinner and some trick or treating! 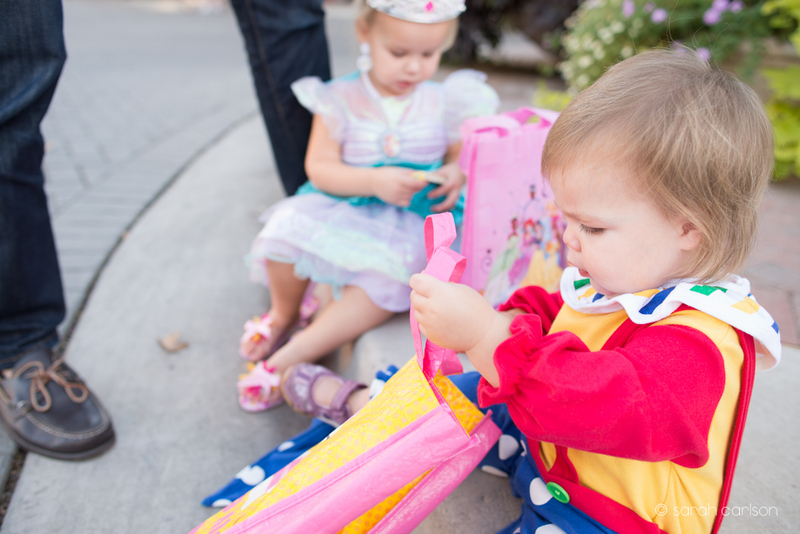 It was Kate's first year to go door-to-door, and she had a blast! You might notice she had a costume change. 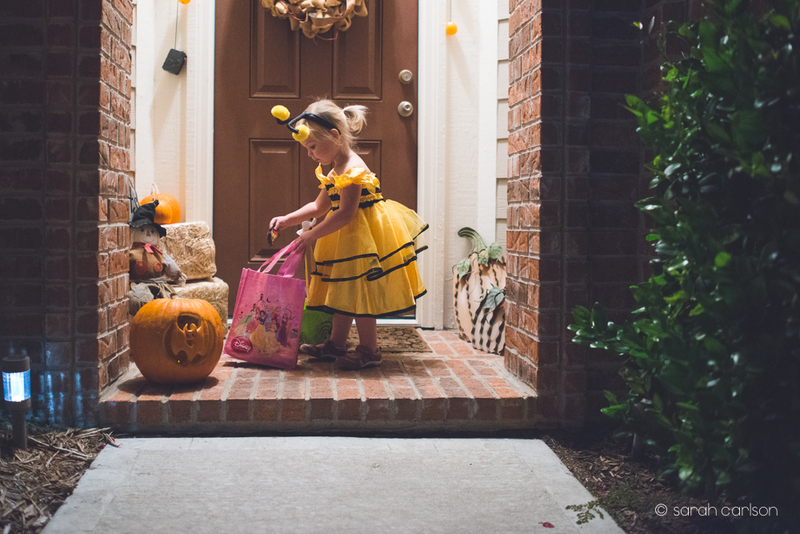 She decided she wanted to change into her bumble bee dress for trick or treating. We have a lot of dress up options in this house!